The trade association will build awareness about co-operative difference of credit unions within the financial services market and promote the important role credit unions play in local communities and to the national economy. CCUA will also provide expert research and value-added services to credit unions and caisses populaires outside of Quebec. CCUA is owned and directed by its members - 316 credit unions and caisses populaires with more than $185.7 billion in assets. These credit unions and caisses populaires serve over 5.57 million members; from more than 1,817 locations across Canada; are governed by more than 2,800 volunteer directors; and employ more than 28,500 Canadians. "The creation of the Canadian Credit Union Association and the transfer of the assets of the former Credit Union Central of Canada, comes at an important time: through a shared vision of success, credit unions have never been better positioned to create a more vibrant future for Canadians — one that is built on the strengths and diversity of co-operative finance," says Martha Durdin, president and CEO, Canadian Credit Union Association. 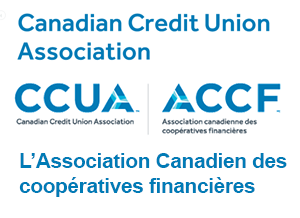 The CCUA has launched a new website - www.ccua.com - to share credit union initiatives and activities.